Open science is the practice of making research publications and data freely available. It takes advantage of the digital transition to develop open access to publications and, to the fullest extent possible, to research data. Open science seeks to create an ecosystem in which scientific research is more cumulative, better supported by data and more transparent with faster and more universal access to results. Open science makes knowledge accessible to all, which is useful for research, education, the economy and society. Open science aims to bring research financed by public funding out of the confines of databases with restricted access. It reduces duplication in gathering, creating, sharing and reusing scientific material and thus improves research efficiency. Open science also drives scientific progress – especially unexpected breakthroughs – as well as innovation and economic and social progress in France, other industrialised countries and developing countries alike. Finally, open science fosters scientific integrity and people’s trust in science. It is an advance for both science and society. With this National Plan, France is adopting an ambitious Open Science policy that aligns with international commitments it has made for the Open Government Partnership (OGP), an initiative that brings together over 70 countries with a view to enhancing transparency in government. 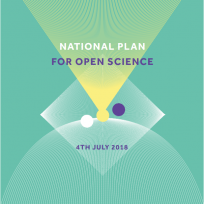 This National Plan also addresses the ambition for Europe laid out in the Amsterdam Call for Action on Open Science. France is adopting a policy to extend and broaden the European Union’s efforts in this area. be disseminated through open access platforms, whether in journals or books or through an open public repository such as HAL. To sustain these practices over time, the assessment system for researchers and research institutions must be updated to reflect the principles and practices of open science. Changes in the way researchers are assessed will seek to give greater weight to quality rather than quantity, as outlined in the San Francisco Declaration on Research Assessment (DORA) proposals and the Leiden Manifesto principles, and make better use of open citations, in keeping with the Initiative for Open Citations (I4OC). The scientific community must regain control of the publishing process in general, in keeping with the principles promoted by the Jussieu Call for Open Science and Bibliodiversity. It must direct its efforts towards virtuous stakeholders working to develop a less concentrated publishing environment that adheres to the principles of open and ethical access, especially in terms of transparency, governance and intellectual property. of the scientific community, both in France and abroad. This fund will coordinate the transfer of a portion of traditional documentation expenses to open science. In particular, France will benefit from doing so in order to take the initiative in scientific publishing and develop innovative publishing approaches made possible by digital technology, such as preprints , short-format manuscripts, data articles, open peer review, etc. This National Plan will back the development of French scientific publishing by providing support for open access books. Additionally, the main role of the HAL open repository will be confirmed as part of the new inter-institutional agreement to strengthen its national missions. The national repository will have enhanced ergonomics and features to make it easier for researchers and institutions to use. Finally, France will recommend the adoption of open licensing for publications and data, which will be compatible with French law as well as international scientific practices. 1. Make open access mandatory when publishing articles and books resulting from government-funded calls for projects. 2. Create an Open Science fund. 3. Support the HAL national open repository and simplify the publication filing procedures for researchers who publish through open access platforms around the world. Recognise open science in assessments of researchers and institutions. Prioritise quality over quantity when evaluating research. Encourage the use of open citations (Initiative for Open Citations – I4OC) instead of citations from proprietary systems. Explore new business models for open access journals and books. Encourage university presses and publishing houses that make their publications available through open access. When publication charges are required, they should be paid only to fully open access publications. Set up an open science monitor in France. Our ambition is to ensure that data produced by government-funded research in France are gradually structured to comply with the FAIR Data Principles (Findable, Accessible, Interoperable and Reusable), and that they are preserved and, whenever possible, open to all. During the announcement of the “Artificial Intelligence” plan at the Collège de France on 29 March 2018, the President of the French Republic announced plans to implement an Open Access dissemination compulsory mandate for all data published through government-funded projects. Certain exceptions to this obligation will be admitted as set out in law, such as when the data in question involve professional secrecy, industrial and trade secrets, personal data or content protected by copyright. The mandate will also include best practices determined by each scientific community, such as setting the lengths of embargo periods. Furthermore, the Ministry of Higher Education, Research and Innovation will create the position of Chief Data Officer (CDO) for research data. The CDO will work with the French government’s Chief Data Officers and oversee a network of research data officers in the relevant institutions. An ANR FLASH call will accelerate the structuring of the scientific community to promote the FAIR Data Principles and open up data. Generally speaking, the inclusion of data processing costs will be allowed in calls for projects. Researchers will be asked to file data in certified data repositories, whose governance and intellectual property rules must comply with best practices. Accordingly, national and European research infrastructures will be given priority, especially subject-based and discipline-specific repositories. Data management plans, a key tool in defining rules for structuring, preserving and disseminating data, will be generalised. A research data award will be created to showcase and reward teams that have performed outstanding work in this area. France will support the Research Data Alliance (RDA), an international network that establishes best practices concerning research data. It will also support the development and preservation of software, an inseparable part of humanity’s technical and scientific knowledge. In line with these efforts, France will lend its support to the Software Heritageinitiative. As part of its government support for journals, France will recommend the adoption of an open data policy associated with articles and the development of data papers. A similar policy on theses will also be implemented. 4. Make open access dissemination mandatory for research data resulting from government-funded projects. 5. Create the post of Chief Data Officer and the corresponding network within the relevant institutions. Suggest an ANR FLASH call to accelerate the adoption of the FAIR Data Principles and the opening of research data access in France. Create a research data award to reward outstanding teams and projects in this field. Create a network of contacts liaising with the Chief Data Officer in the institutions to respond to researchers’ questions about research data. To ensure government support for journals, recommend the adoption of an Open Data policy associated with articles, the development of data articles and data journals. Generalise the implementation of data management plans in calls for research projects. Develop subject-based and discipline-specific data repositories. Create a simple generic data hosting and dissemination service. Implement a certification process for data infrastructures. Support the Research Data Alliance (RDA) and found the French chapter of the organisation (RDA France). Support Software Heritage, the source code library. The success of open science implies developing new basic practices for researchers. This requires defining new skills, developing new training programmes and creating new services. The Open Science Committee, which brings together more than 200 experts in the field, will work to define the new skills required. Initial efforts will be aimed at postgraduate schools, which are at the right level and time in a researcher’s career to implement suitable training. An “Open Science”certification will be awarded to postgraduate schools that offer a training programme in line with the objectives of this National Plan. Additionally, in order to develop training courses focused on data skills as well as other general open science skills, a call for expressions of interest will fund proposals and trial programmes on these topics. To broaden the scope of this National Plan and deploy it in France, all research agencies are encouraged to develop Open Science policies within their institutions. It will not be possible to change the science ecosystem without transparency. It is important to open access to datasets that concern financing for calls for projects and winning proposals as well as institutions’ acquisition costs for journals and books. Although Open Science has certain regional features, it is a global movement that can only be further developed through substantial international coordination. France wants to play its part by promoting the idea of an efficient, regulated, transparent and resilient ecosystem that benefits the scientific community and society. It will help shape this international landscape with regard to services, standards and best practices by strengthening its participation in European and international open science infrastructures (European Open Science Cloud – EOSC; GO FAIR, for which it will run the international office in Paris; Research Data Alliance – RDA; OpenAIRE; Directory of Open Access Journals – DOAJ; OPERAS) as well as in other similar networks or services likely to support transnational structuring (e.g., SCOSS). In particular, France has decided to create a French-Dutch foundation, the Directory of Open Access Books (DOAB), to develop an international quality certification for open access books. Similarly, it will contribute to sharing information and coordinating international negotiations with publishers, which will be facilitated by efforts to ensure transparency on costs. Finally, France will help define and regulate the building blocks of the open science ecosystem, such as Crossref and DataCite for DOIs and ORCID for researcher identifiers. 7. Develop open science skills, especially in postgraduate schools. 8. Encourage research agencies to adopt open science policies. 9. Actively contribute to structuring European data in the European Open Science Cloud and by participating in GO FAIR. Inform scientific communities about the implications of the French Digital Republic Act on the open dissemination of science publications and data. Create an “Open Science” certification for postgraduate schools. Develop research data skills, especially through online training courses aimed at the scientific community. Create an Open Science Committee with experts in the field that will tackle issues relating to publishing, research data, data skills and coordination at the European and international levels. The Committee will be tasked with updating this National Plan in two years. At a national level, join ORCID, which provides unique identifiers for researchers to make finding researchers’ scientific contributions easier and more reliable. Create the French-Dutch foundation, Directory of Open Access Books (DOAB).  Contribute to open science infrastructures such as the DOAJ, OpenAIRE, SCOSS, OPERAS, Crossref and DataCite. Coordinate negotiations with publishers at the international level. research funding for calls for projects and their beneficiaries. Publications: Scientific communications researchers use to share their work. These publications have been validated by a peer review process. Research data: Factual records (figures, texts, images, sounds, videos, etc.) used as primary sources for research and which are generally accepted by the scientific community as being necessary to validate research results. Open science skills: Skills related to open science publishing, data structuring, related law, new digital uses and best practices. Publication charges: Some open access journals (28%) require authors to pay publication fees, also known as article processing charges (APC) to finance publishing work. There are other funding models. Data paper: As opposed to a traditional scientific article that uses, analyses and interprets scientific data, a data paper describes in detail one or more datasets to facilitate their understanding and eventual reuse. Chief Data Officer (CDO): The CDO coordinates the actions of stakeholders with regard to research data inventory, governance, production, sharing and use. The term should not be confused with Data Protection Officer (DPO). FAIR Data Principles: The idea of FAIR data refers to how data is structured, stored, presented and published to ensure that it is findable, accessible, interoperable and reusable. Bibliodiversity: In the publishing world, bibliodiversity refers to the diversity of publishing stakeholders, as opposed to a concentrated number of stakeholders.